The investigation revealed that the quack, Rajendra Kumar, living in a neighbouring village, had used a single syringe for injection in the name of cheaper treatment. 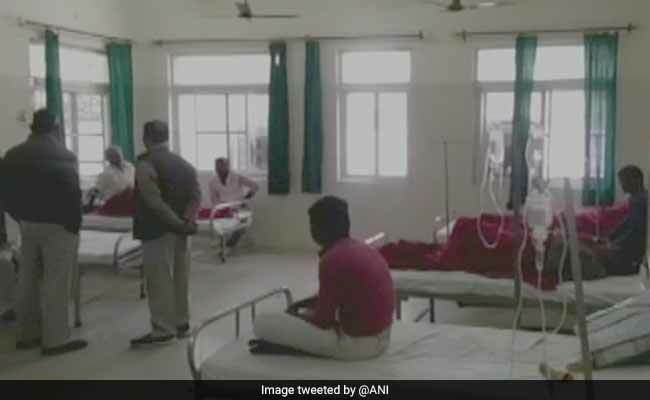 Unnao, Uttar Pradesh: At least 46 people were found infected with HIV in a tehsil of this district in the last 10 months, after which a quack was booked over the allegation that his use of same syringe, in the name of cheaper treatment, to administer injections led to the spurt in such cases, an official said Tuesday. The Centre has sent a team to Uttar Pradesh's Unnao to inquire into the incident, even as the medical fraternity termed using of same syringe a "criminal" act. Chief Medical Officer (CMO) of Unnao Dr S P Chaudhary said a case has been registered against the quack. "During a routine screening from April to July, 12 HIV positive cases were reported from Bangarmau tehsil alone. During another screening in November, another 13 cases were reported from the same place," the CMO said. "After noticing the high number of cases, the health department constituted a two-member committee which visited various hamlets of Bangarmau to investigate the reasons behind the spurt," he said. Dr Chaudhary said the team visited Premganj and Chakmirpur areas of Bangarmau and filed a report, based on which screening camps were held at three places on January 24, 25 and 27. "In these camps, 566 people were examined, of whom 21 were found to be infected with HIV," the CMO said, adding, in all, 46 people were infected with the deadly virus. He said the investigation revealed that the quack, Rajendra Kumar, living in a neighbouring village, had used a single syringe for injection in the name of cheaper treatment. "This was the reason behind the significant rise in the number HIV cases," Dr Chaudhary said, adding the patients have been referred to Anti-retroviral Therapy (ART) centre in Kanpur. ART consists of a combination of antiretroviral (ARV) drugs to maximally suppress HIV and stop its progression. It also prevents onward transmission of HIV, he said. State Health Minister Sidhartha Nath Singh told PTI, "It was because of the health camps that such cases came to our notice. Based on this, we are finding out what happened... A quack had started this, and police will soon catch him." "On the complaint of Dr Pramod Kumar Dohrey, the in-charge of Bangarmau community health centre, a case has been registered against the quack for negligent act likely to spread infection dangerous to life, voluntarily causing grievous hurt by dangerous weapons or means, and Section 15(3) of the Indian Medical Council Act." SP of Unnao, Pushpanjali Devi said. According to the Union health ministry, the three member team, comprising officials from National AIDS Control Organisation (NACO) and headed by Asha Hedge, has left for Unnao to find out the facts and will give a report within two to three days. Former IMA president Dr K K Aggarwal said there are set protocols and guidelines for administering injections and other surgical procedures which need to be followed. "Here, these were openly flouted which is purely a criminal act. A quack is not supposed to administer injections and stern action should be taken against the individual," he said. The Uttar Pradesh State AIDS Control Society (UPSACS), observes that "UP is a low prevalence but highly vulnerable state". Quoting National AIDS Control Organization's (NACO) India HIV Estimations 2015 Technical Report, UPSACS said in Uttar Pradesh, the prevalence of HIV among adults (15-19 years) stands at estimated 0.12 per cent, while the number of PLHIV infection (among adult and children) is at around 1.5 lakh. The number of annual new HIV infection (15+ yrs) in Uttar Pradesh is estimated at 9,474, it said.